Do you love Dr. Seuss as much as I do? I remember his books when I was small and I believe he’s even more popular now! 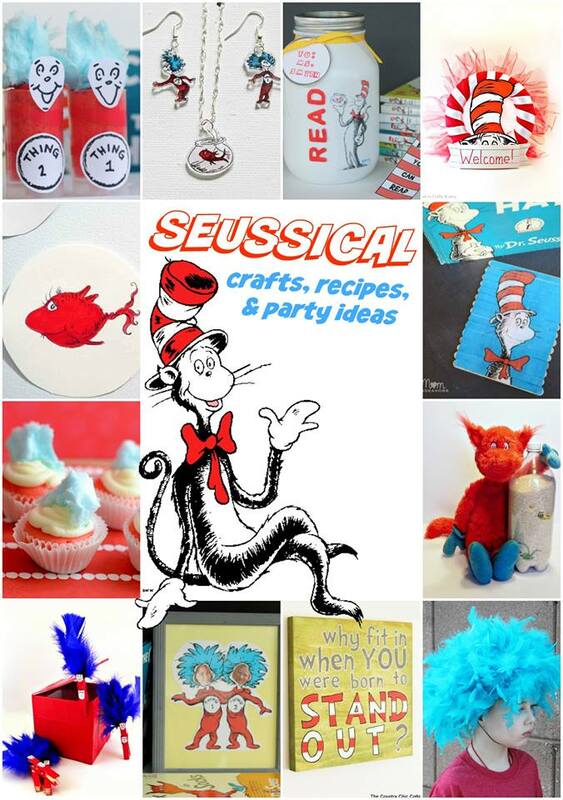 His birthday is coming up next month on March 2 so I wanted to share some fun Seuss crafts, recipes and party ideas. Of course, they’re fun any time of year but I like honoring and remembering him on the day he was born. Most of these projects are my friends’ but I do have one in there. See if you can guess which one it is.